Hello everyone, and welcome to another edition of Tiggerific Tuesday Trivia! Today we are exploring trivia from the Walt Disney World Trivia Book, Volume 2, by Lou Mongello. This weekly series is the brainchild of Jodi from Magical Mouse Schoolhouse, who invited Heidi from Heidi’s Head, Jenn from Disney Babies Blog, and myself to join her in our weekly look at trivia from around Disney! Q: What was the original name of The Garden Grill restaurant located in the Land Pavilion? That The Garden Grill, a revolving restaurant in The Land Pavilion, rotates faster at breakfast than at dinner because Disney wants diners to experience an entire revolution during their meal and people spend less time eating breakfast. b.) The Good Turn! Like many of the eateries in The Land Pavilion, the original table-service restaurant has been renamed a number of times since the pavilion’s opening. It opened as The Good Turn on October 1, 1982, and then became the Land Grille Room in 1986. Today it is known as The Garden Grill and offers Character Dining. Whatever its name, the restaurant has (literally) revolved around the boat ride below since its opening. Thank you for stopping by today! Now, make sure you see the rest of the entries by clicking the links below! 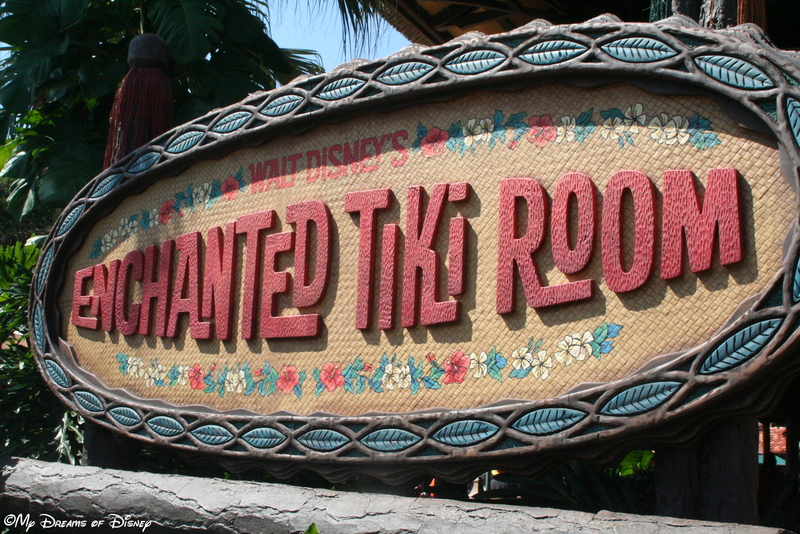 87 Days til Disneyland – Walt Disney’s Enchanted Tiki Room! Walt Disney’s Enchanted Tiki Room is our selection for Day 87 of our “Countdown til Disneyland” series! The picture, of course, was taken at Walt Disney World, but I’m interested to see how this show stacks up against the show at Disneyland! This show, which is 15 minutes in length, is a tropical serenade of music from a whole cast of Audio-Animatronic character birds. In all, there are 225 animated performers! At Walt Disney World this used to be called “Walt Disney’s Enchanted Tiki Room — Under New Management” — but when a fire occurred in the attic portion of the building, the attraction was changed to be more in line with what used to be at Walt Disney World — the Tropical Serenade. Being such a rookie when it comes to Disneyland, I appreciate all of your comments and suggestions about the attractions and what is good and not good to see at the Parks. If you have missed any of the previous days entries, click on the 100 Days til Disneyland page to see a list of all of them so far. Thanks! 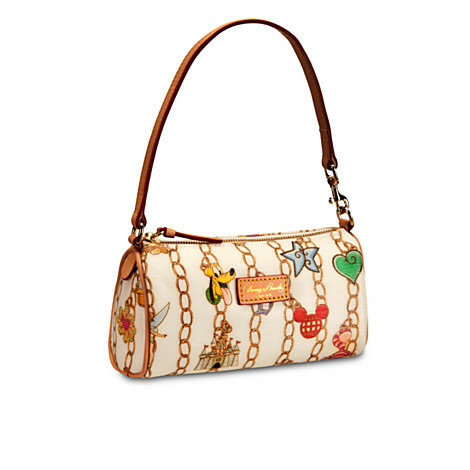 It’s been a few months since we have participated in a contest here at My Dreams of Disney, so we thought that with all of the “Spring” weather we are experiencing all over the country — and yes, I’m being sarcastic here — that we would group together with a bunch of great blogs to offer up this Disney Dooney and Bourke “Charms” Barrel Bag! This purse looks like it would be seen on the arm of someone walking around town on a great spring day, with temperatures in the 70s and sunny skies! Wow, I can picture it now!